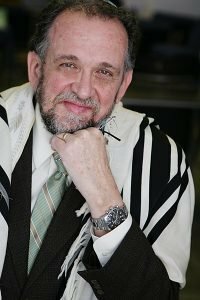 Our Director, Rabbi Dr. Stuart Dauermann, is a composer/performer, worship leader, scholar, educator, clergyman, speaker, and teacher with fifty years experience. His specialty is helping people negotiate and navigate life at the intersection of the Christian and Jewish worlds. He has a message for the Jewish world, for the Church world, and for people who don’t know where they fit. Through his speaking, teaching, and writing, he seeks to criticize no one, to challenge everyone, and to change your world and your life for the better. Scripture-based addresses and lessons of all kinds. New paradigms for introducing others to the spiritual life we value. A four session workshop assisting you in better understanding, experiencing, and sharing with others the dynamic life made possible by the death, resurrection and ascension of our Messiah, Yeshua. Referencing his recent book, “Converging Destinies: Jews, Christians and the Mission of God” Rabbi Dr. Stuart Dauermann assists you in discovering new ways for Yeshua-believers to be bearers of spiritual peace to the Jewish world. Central to this project is the One whom he terms, “the More Jewish Jesus,” someone with whom the neither the Jewish world nor Christian world have yet come to terms. Encountering, but not Countering the Ruach (Spirit). How to be “small charismatic” and not “large C Charismatic.” Touching people with the kingdom of God without weirding them out. The Jewish Advantage Workshop: The brilliant Jewish method for transformational study in partnership with others. Life-changing! Dr. Dauermann is known as the “Father of Messianic Music,” having invented the in the late 1960’s. He has performed his music in every one of the fifty states, and internationally as well, and his songs trace the evolution of Messianic Jewish music. He loves to give what he calls “Theological Concerts,” where audiences sing his songs with him and learn of how the evolution of Messianic Jewish communal consciousness is reflected in the evolution of its songs. Dr Dauermann’s prior degrees in Music Theory and in Music Education especially suit him to this task.